Hello farmers, despite appearances I am very much still here and would like to wish you all a Happy New Year! Please don't mind the small absence as I was enjoying some long-awaited time off for the holidays after running myself ragged. Finally I had the time to get back to playing alongside friends and family. It’s been a blast playing alongside the new events, trying to collect even more temporary or permanent farmhands, and chatting away with friends. Really, it's been nice to relax. Having the time to leisurely play through a game truly is one of life’s little pleasures. Speaking of which we have a new event on our hands called the Legends of the Farmdog Trail Event. 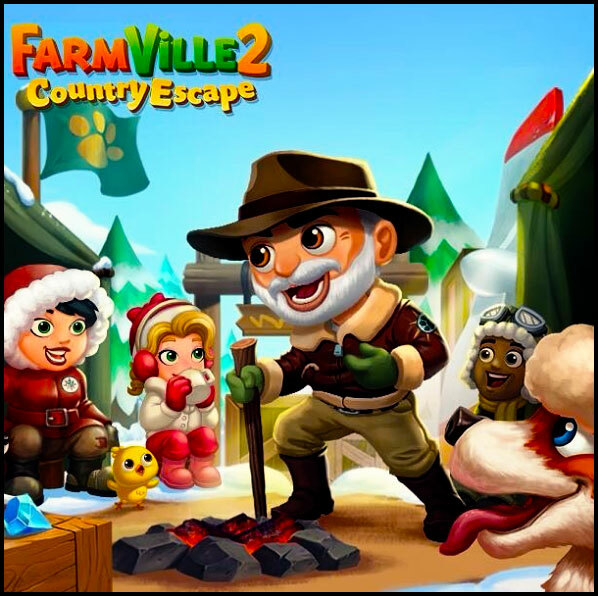 Load up your sleds and round up those Huskies for a chance to win a temporary farmhand. The event debuted on 01/04/2017. If you are at least level 12, you will see a pop-up inviting you to the Legends of the Farmdog Trail Event. The caveat though is that you will need to reach level 14 to unlock Phase 3, and level 18 to play phases 4 and 5. There is a time limit. 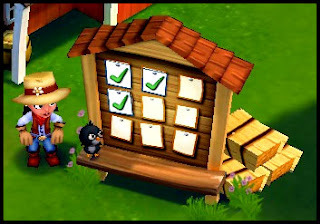 You have until January 22 2017 to complete the Farmdog Trail quests, and win Jack Pennyfeather as a temporary Farm Hand. Nora and Crimson arrive to help out...for a price. You have the option to purchase Pennyfeather's Trail Guide, Nora, and/or his Lead Dog, Crimson, as Farm Hands to help you out in the Legends of the Farmdog Trail Event. The Farmdog Trail is a temporary area that will drop the different items needed in each recipe. For example, it will drop Raisins, which you will need in Phase 1. For challenge junkies I have to say that so far I haven't seen a bonus quest. This may change as Zynga often likes to toss bonus quests in about a week before the event ends. If there is one I'll get it posted here too.